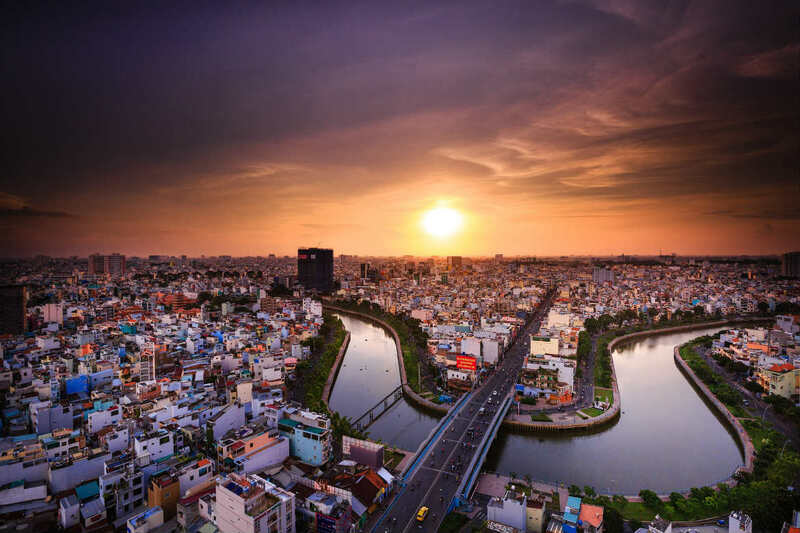 Taking out the title of Vietnam’s largest city, Ho Chi Minh City is a destination that is well worth adding to any holiday itinerary. Vibrant, rich in culture and filled with history, the city, situated in Southern Vietnam, offers so much to see, do and discover. If you’re planning to visit Ho Chi Minh City, be sure to check our picks of the top things to do in Ho Chi Minh City! Situated beyond the city’s centre, the Củ Chi Tunnels offer an interesting insight into the region’s past. 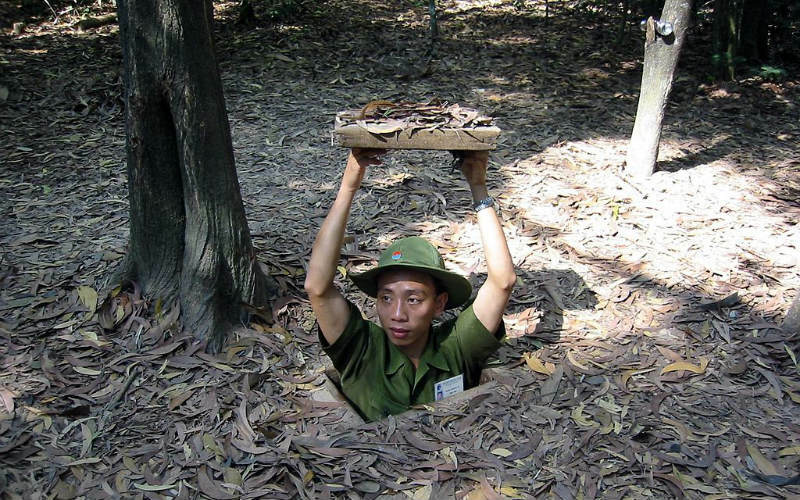 Created in the late 1940s and then expanded as the number of American troops in Vietnam began to increase, the network of dark, cramped tunnels are thought to have covered a total of 250 km, spanning from Ho Chi Minh City to the Cambodian border. Used as place for Viet Cong soldiers to shelter during fighting, keep supplies such as food and weapons, nurse the sick and injured, and more, parts of the remaining tunnels have been reinforced and widened, allowing tourists to head underground and gain an understanding of how the soldiers lived during combat. Củ Chi Tunnels, Ho Chi Minh City, Vietnam. Image Credit: Thomas Schoch / CC by SA 3.0. 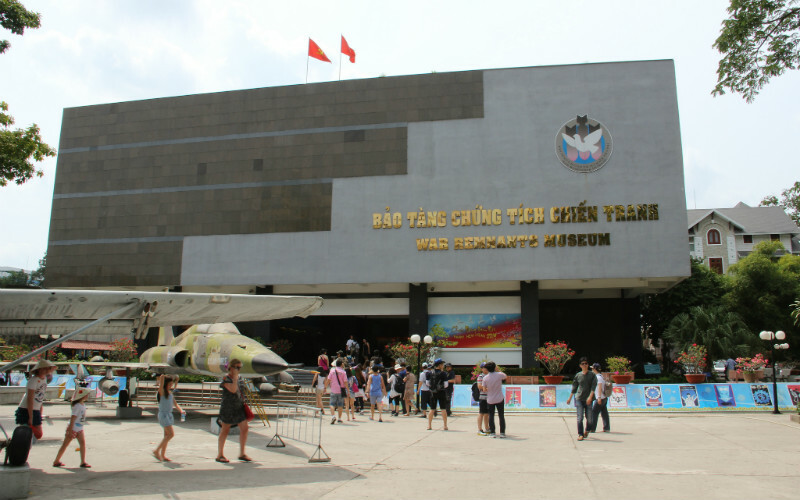 One of Vietnam’s most popular museums, Ho Chi Minh City’s War Remnant Museum was created as a means to document and communicate the deep impacts that war has had on the city, the Vietnamese people and the country as a whole. Artefacts, photographs and weapons used during conflicts with the United States and France are displayed and arranged thematically, telling the story of past conflicts and their impacts from the Vietnamese point of view. Although some exhibits are quite one-sided and anti-American, the museum does do quite a good job at documenting some of the atrocities that were committed by foreign forces. Some exhibits within the museum are quite graphic and confronting, so it may be best to avoid touring the museum with young children in tow. War Remnants Museum, Ho Chi Minh City, Vietnam. Image Credit: Gary Bembridge / CC by 2.0. 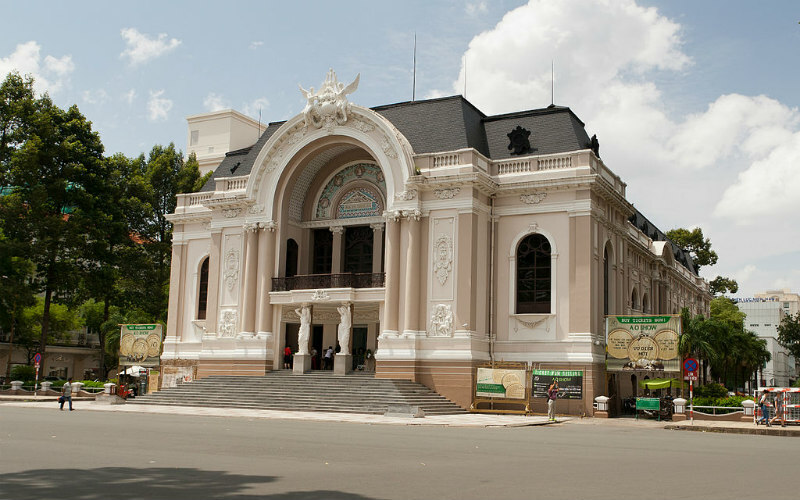 Constructed in the late 19th century, the Saigon Opera House, also known as the Municipal Theatre of Ho Chi Minh City, is a fine example of the city’s impressive French colonial architecture. 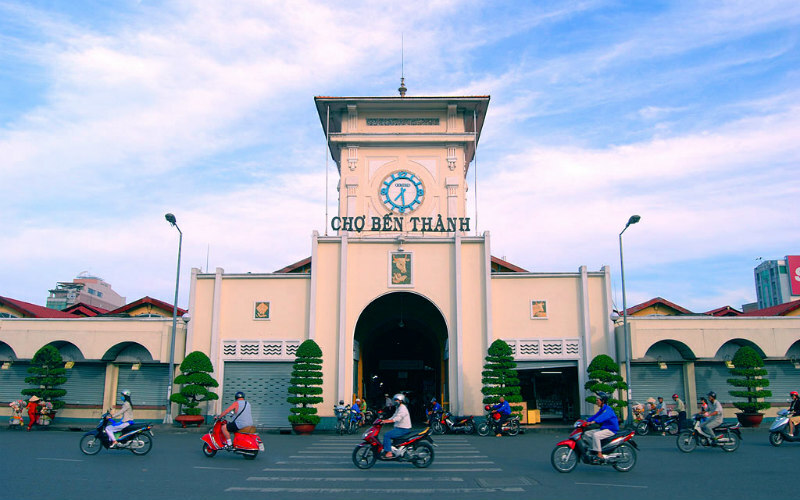 Originally purpose built for classical opera performances, the building had varied uses prior to its restoration after the Vietnam War, acting as a shelter for French civilians and as the home of the Lower House of the Vietnamese government. Today, the opera house once again hosts live performances, with opera, classical music, ballet and traditional Vietnamese cultural shows gracing its historic stage. Saigon Opera House, Ho Chi Minh City, Vietnam. Image Credit: Ekrem Canli / CC by SA 3.0. Standing high above street level in the Bitexco Financial Tower, the Saigon Skydeck is the place to head for fantastic 360° views of Ho Chi Minh City, the Saigon River and its surrounds. 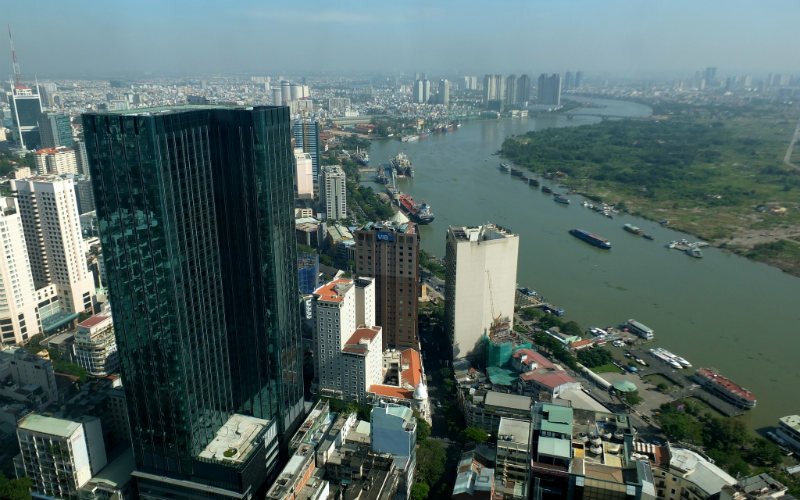 Set on the 49th floor of Ho Chi Minh’s tallest building, a visit to the observation platform offers a great opportunity to see some of the city’s best known attractions, including Ho Chi Minh City Hall, the Ben Thanh Market and Notre Dame Cathedral, as well as the rest of the bustling city, from above. Take a camera for great holiday snaps or make use of the observation deck’s binoculars to spot some of the city’s incredible features and attractions. Saigon Skydeck, Ho Chi Minh City, Vietnam. Image Credit: manhai / CC by 2.0. A vibrant market set in the heart of Ho Chi Minh City’s District 1, Bến Thành Market has earned a reputation as one of the city’s top shopping destinations. Filled with row after row of stalls, the markets, which also happen to be one of the oldest structures in the city, are the place to head for everything from fresh produce and meats through to clothing, souvenirs and homewares. The market is loosely organised into categories, which helps to make navigating the bustling stalls a little easier, but there’s nothing quite like spending a few hours simply exploring and soaking up the sights and sounds of this famed marketplace. Bến Thành Market, Ho Chi Minh City, Vietnam. Image Credit: Riza / CC by 2.0. 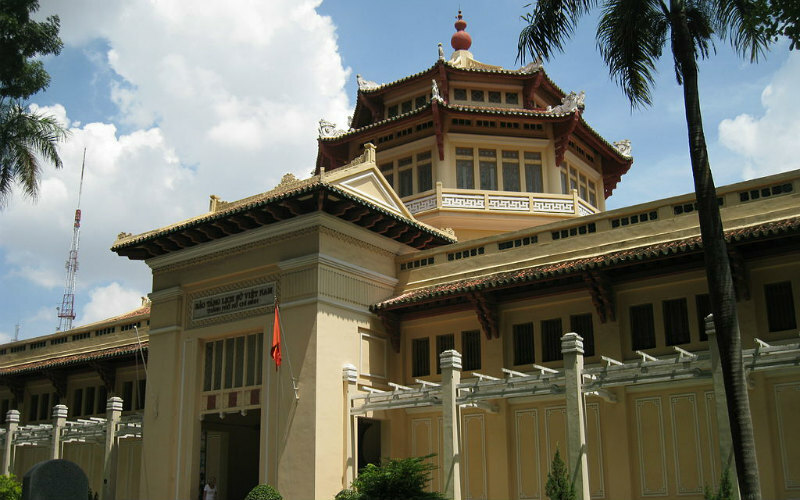 Exploring the history of Vietnam from prehistoric times through to 1945, the Museum of Vietnamese History in Ho Chi Minh City is a great attraction to visit if you’re wanting to know more about the people and events that have helped to shape the country’s unique identity. Featuring close to 30,000 artefacts and around a dozen fascinating exhibitions, the museum, situated within the grounds of the Saigon Zoo and Botanical Garden, offers an interesting insight into local culture, art and heritage. Entry costs just a few Australian dollars, making the museum a value-for-money attraction well worth adding to any travel itinerary. Museum of Vietnamese History, Ho Chi Minh City, Vietnam. Image Credit: Nguyễn Thanh Quang / CC by SA 3.0. Ready to discover all that Ho Chi Minh City has to offer? Secure your place on an unforgettable Vietnam tour from Webjet Exclusives today!